The Darkest Rising series is a spin-off of the Darkest Powers series. I am so, so, so excited about this book coming out. I'm counting down the days until April 12th! What's on your wishlist?? Leave a comment with your link so I can see what you're waiting on! Great pick! That cover makes you think of so many questions. I should read the Darkest Powers series. I hsaven't read this series yet, but I love Kelley Armstrong. I'll have to get it. I've really got to finish reading her first YA series before I start this one. I've only read the first one but I will have to dig them out before April 12th. my sister loved her darkest powers series and excited for this one. haven't read a kelley armstrong book yet and i think i'm missing out. great pick! Great pick! I am looking forward to this one as well. Thanks for the follow as well. I am following you right back! I have just started The Summoning and it's very good. 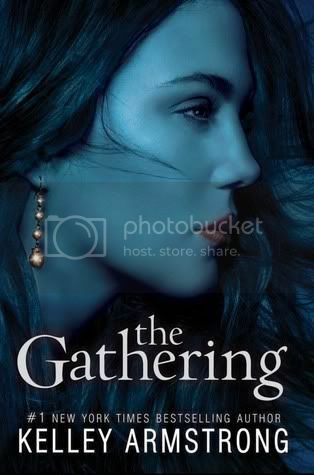 I love the cover for The Gathering it's beautiful! I've wanted to read something by this author for awhile. great pick! This books sounds exciting, I haven't read any of the Darkest Powers books but I love Kelley Armstrongs adult series my favorite characters are Elena,Clay and Savannah. I am definitely adding this book and the other series to my wishlist. Thanks for stopping by! I am following you now. I love Kelley Armstrong! She's one of my top authors!! Awesome pick! Do you have to read the other series to understand this book? I have it on my to be read list and I've been trying to figure that out! Great pick! After finishing The Darkest Powers series I'm so looking forward to this one. Thanks for stopping by my blog. I want to read this one as well but I didn't realize it was a spin off. Do you think it would be better if I read the other series first? I haven't read any of the series books you mentioned but this does sound really good. I've been wanting this one too! But I haven't read the Darkest Powers books yet so I'd like to do that first. Oh yes. I've heard of this one. Nice pick. I love Kelley Armstrong's books! Great pick! Is this another Chloe (Darkest Powers) trilogy? No. This one introduces new characters in a different Edison Group experiment. ***Will any of the Darkest Powers characters appear in this trilogy? Kelley intends to join the two groups of characters, but that won’t happen until at least the last book in this trilogy. When does the first book come out? Spring 2011. You’ll find the exact release date on the book’s page here: The Gathering. I've got this on my TBR list but didn't know it was a spinoff. I have been wanting to read The Darkest Powers series so hopefully I'll get to those soon. Great pick! I've heard so many great things about her previous series that I'm anxious to find out for myself how good it is. And as for The Gathering, I'm panting for its release, big time! Wonderful pick, totally agree! 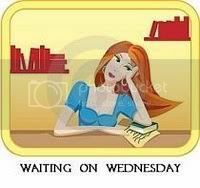 Happy blogging and enjoy your current reads! I read the first book in the Darkest Powers series and really need to finish it up. Oooh this one is right around the corner. Can't wait for it. I will shamefully admit I haven't yet read the Darkest Powers series! I actually have a copy of The Awakening... but since it's the second book, it's just been sitting in my bookshelf. I need to grab the first and start! Especially because The Gathering looks awesome!! Great pick! I haven't read that series! Thank you for the recommendation. I am now adding this to me "Must Read" list. Love getting great books that way. I have this on my wishlist too! I really liked the Darkest Powers series and am hoping The Gathering is just as good. I've never read any of her books, but people have been saying a lot of good things about them. Maybe I should check them out. I've only read The Awakening and I liked it well enough, but not so much to continue the series. I think I should give it another try, though, and perhaps this one as well. The cover is stunning! I love the Darkest Powers series too and can't wait for this one to come out! I also want to read this book. Many good review about this book make me curious about the chapters inside. I hope I can get the book this year. Hi! Thanks for stopping by my blog! I am your newest follower! Have a great week! wow, a lot of comments :) Thanks for visiting my blog, I'm following you back now :) I'm waiting on this too. I loved the other series, so good. I'm not sold on the cover though. Happy reading! I haven't read the series, but I'll definitely check it out. Hey, just stopping by to tell you that I've awarded you the One Lovely Blog Award and the Howling Turtle!